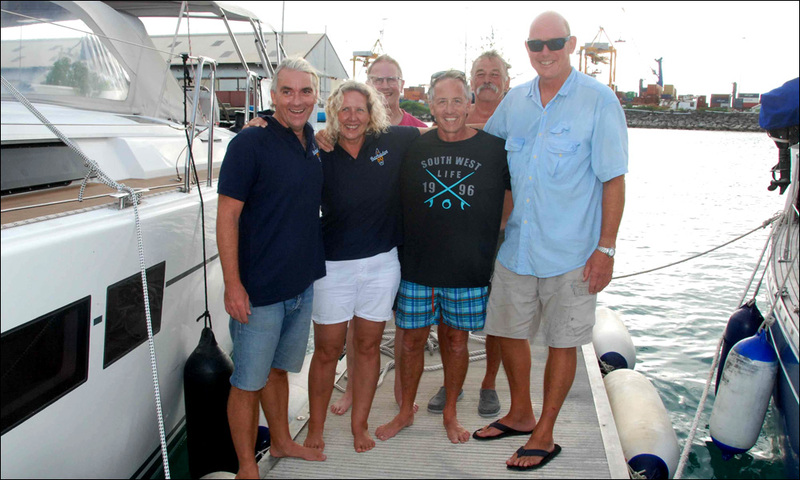 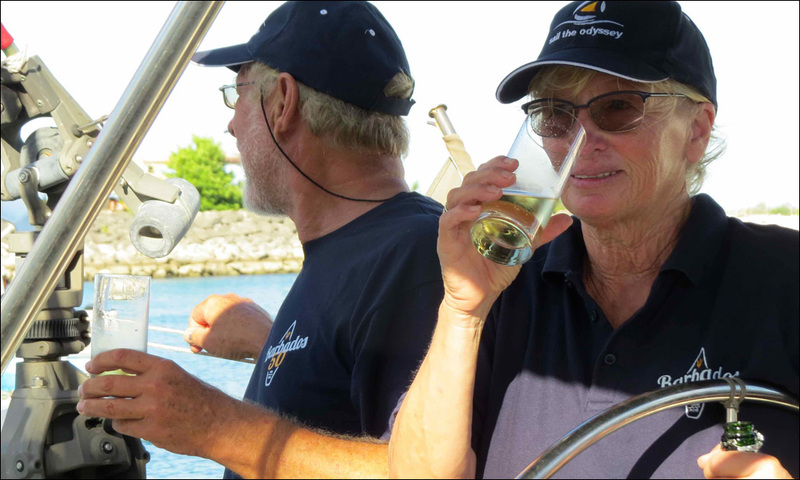 Gloria’s landfall in Barbados was followed a few hours later by the disabled Oysterbar, being steered by its emergency tiller to the arrivals dock, its steering system still broken and out of action. 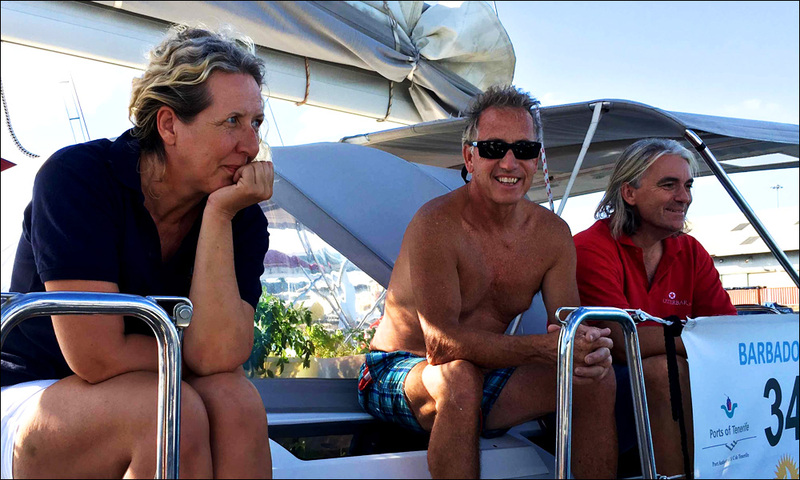 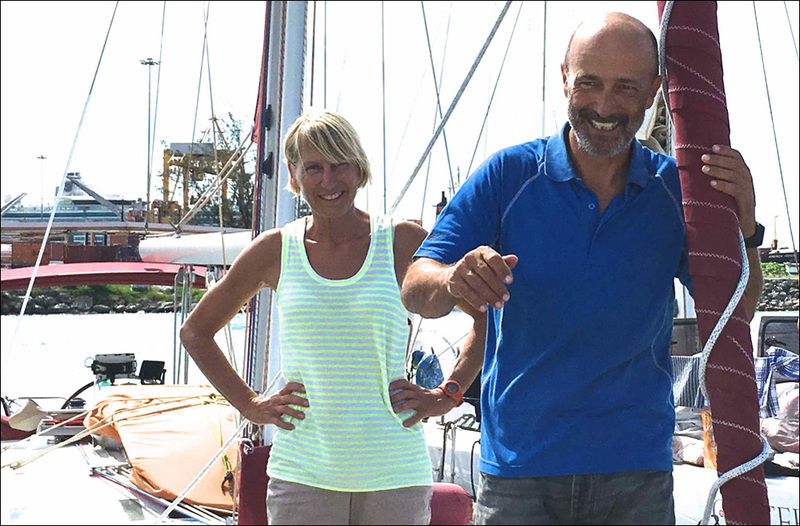 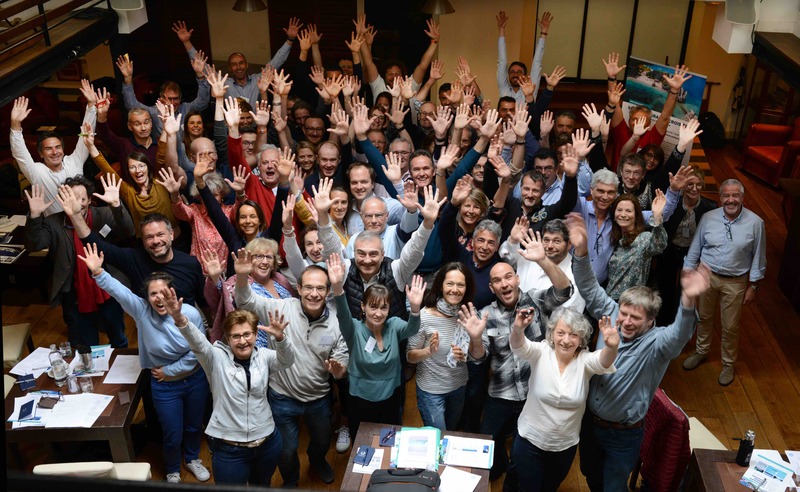 While Holger was talking to the crew of Gloria about their ordeal, Karin turned around and pretended to bite their boat’s toe rail to show her anger and frustration at what they had been put through. 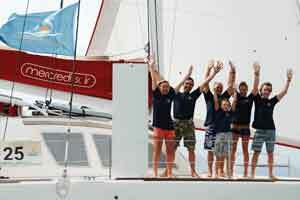 Next to arrive was Tourterelle, whose crew had been among those who had altered course to assist Oysterbar. 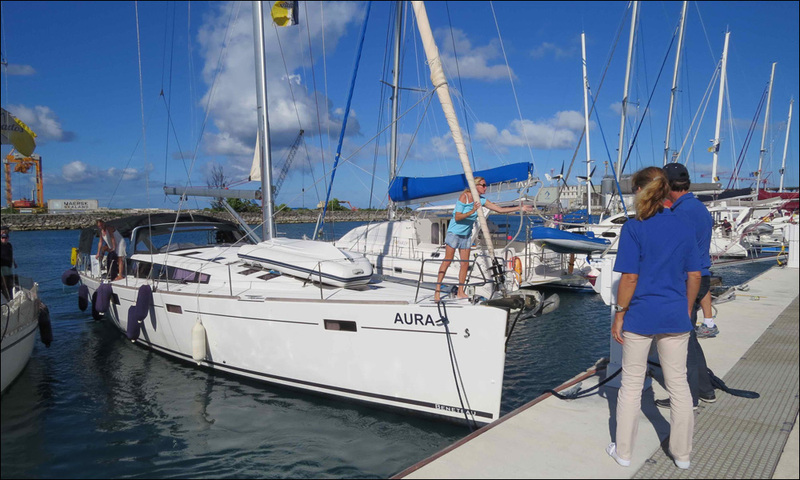 While the reception dock was cleared of the early arrivals, who moved to the Careenage, three more boats arrived in quick succession. 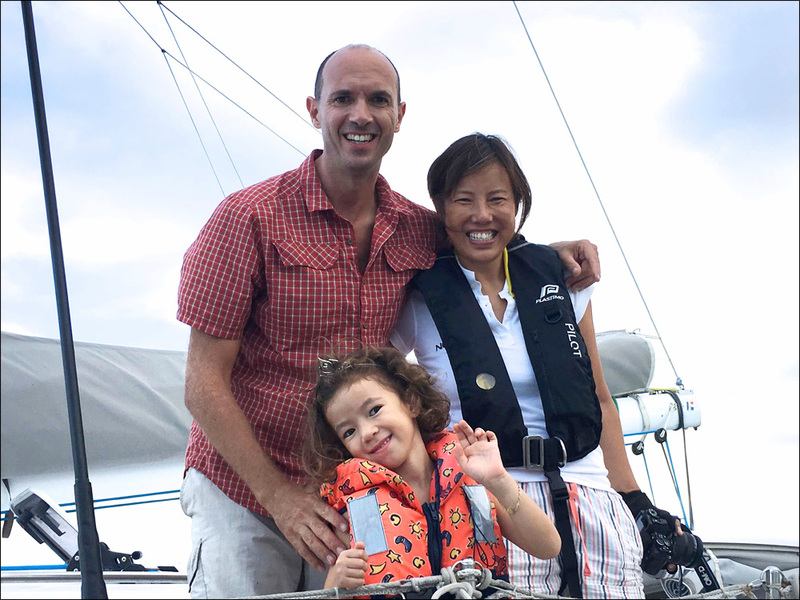 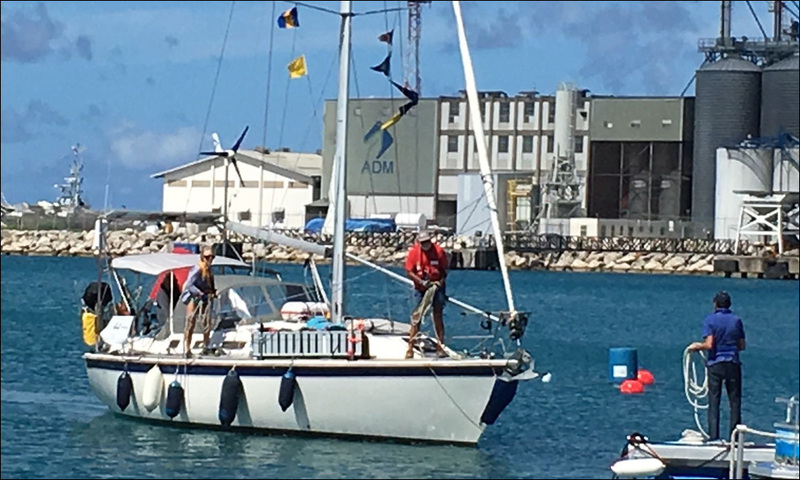 At 36 feet, the smallest boat in the fleet, Witte Kreeft (white crayfish in Dutch) had made a remarkable swift passage arriving only four days after potentially the fastest boat in the fleet – the catamaran Jiyu. 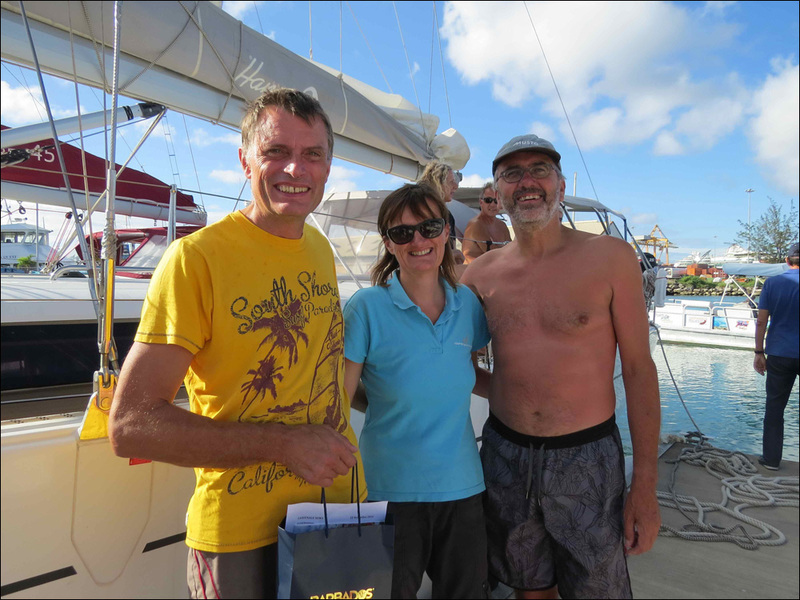 The last arrival of the day was Peer Gynt, one of 11 boats in Barbados 50 to be crewed by just a couple. 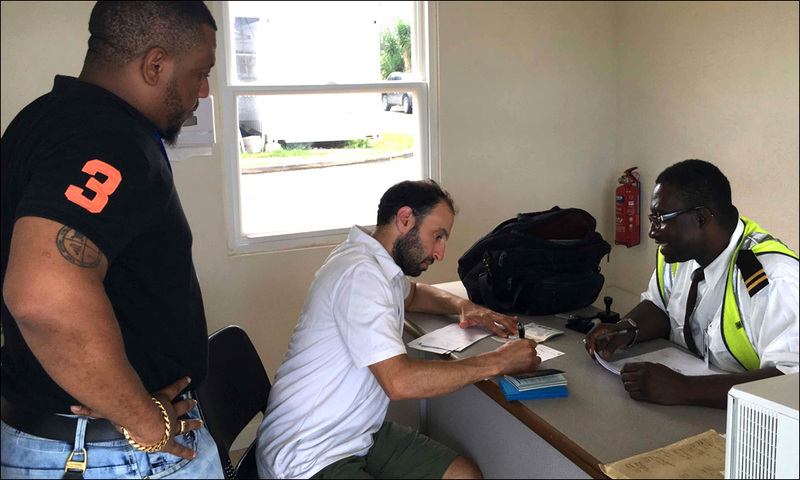 The new arrivals facility arrivals now has permanently staffed quarantine, customs and immigration offices, so that the clearance of yachts can be completed quickly and efficiently. 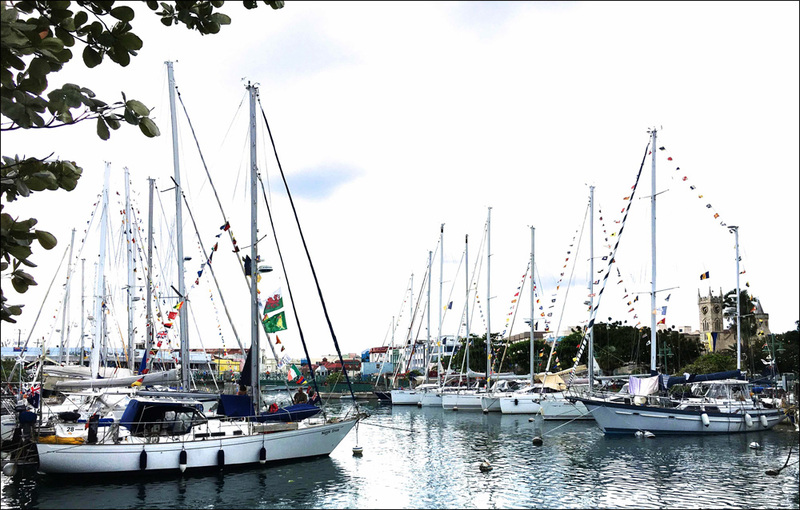 Most of the fleet had been squeezed into the centrally located Inner Basin, right next to Independence Square… and all the action. 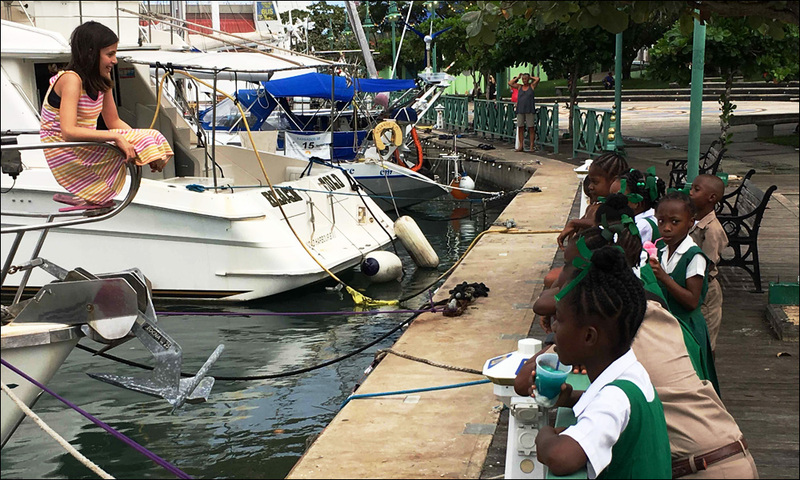 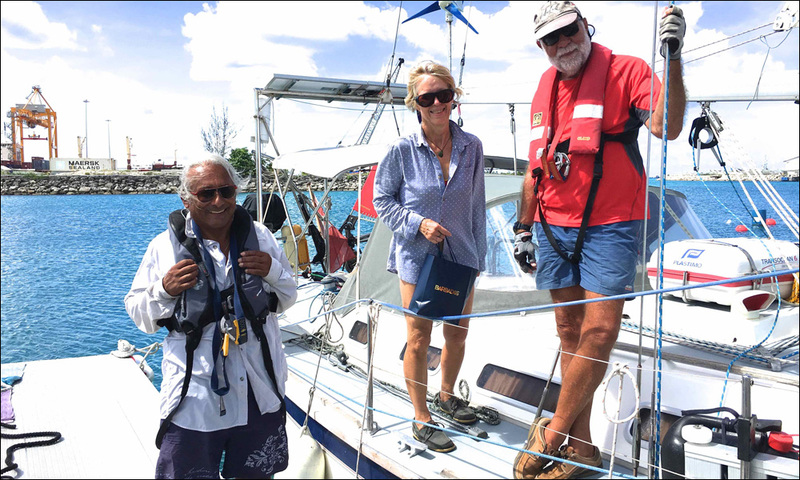 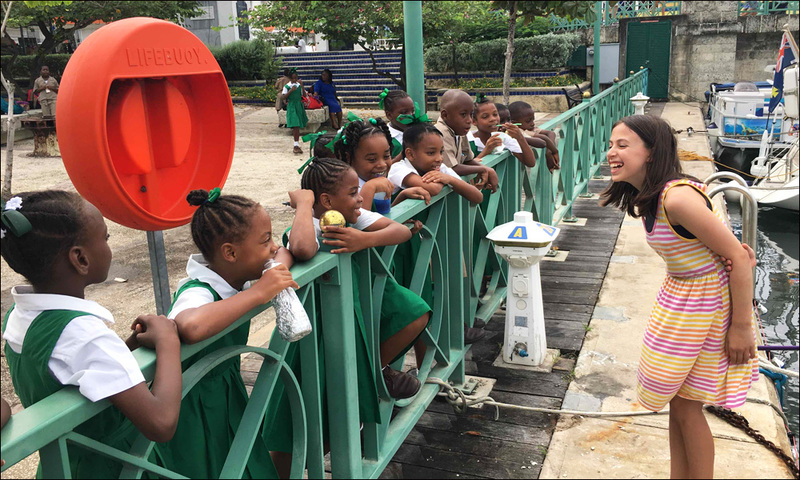 Laridae is one of several Barbados 50 boats that have been in contact during the Atlantic crossing with local schools in Barbados, and such a visit is only the first of several planned for the run-up to the Independence celebrations.